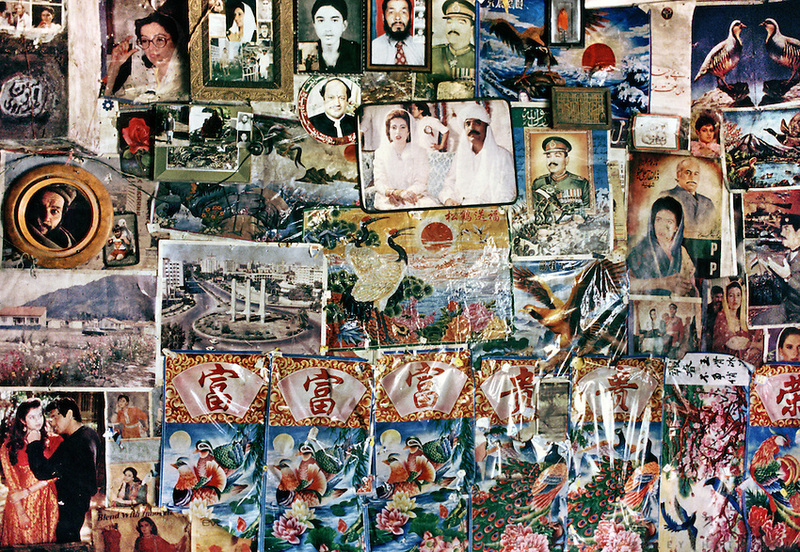 A wall full of Pakistan history, including many images of Benazir Bhutto. In Baltistan province, Karakoram mountains. Pakistan.